Additional visual contrast sharpens your perception, clarifying judgment and speeding up reaction time. 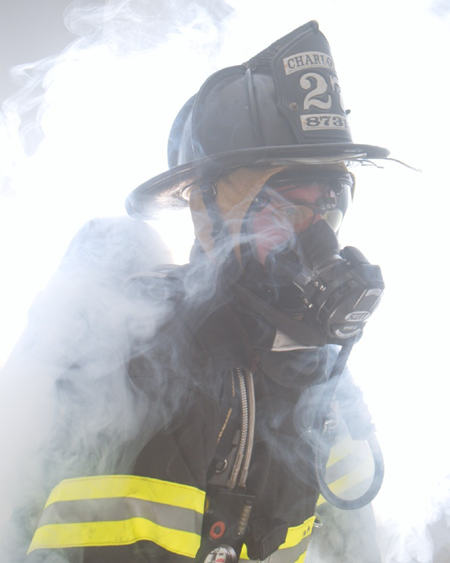 All products can be applied to the challenging environments of Firefighting, Law Enforcement, Military and Industry. 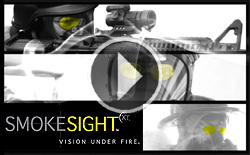 Trispec’s proprietary yellow high-definition lens technology was developed for the fire service to enhance vision in smoke and low light conditions. • Enhances vision in smoke, low light and overcast days delivering sharper contrast and detail. • Reduces glare and relieves eye strain enhancing safety and work performance. • Can be worn anytime of the day or night, indoors or outdoors. • Amplifies lime/yellow and red/orange on firefighter turnout gear and safety vests. • Rifle or pistol shooting target enhancement. • Scuba search and rescue low visibility or twilight dives. 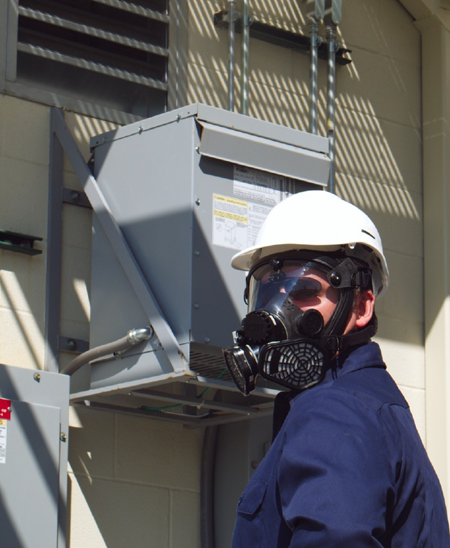 Whether it’s a Haz-mat clean up, training session or brush fire, enhance your safety and job performance in bright sunlight with improved visibility from our MSL™ and TCR™ specialized sun lenses. Metalized Surface Lenses come as grey lenses with a blue or silver mirror and True Color Reception Lenses come as grey lenses without mirror. • Reflects and absorbs glare away from eyes. • Improves visibility in bright sunlight. • Gives true color reception and will not distort colors. • Enhances safety, work performance and dark adaptation. "These are excellent lenses. They really relieve the eye strain... and improve visibility in smoke." "I especially liked these for brush fire work outdoors. They were never an impediment to indoor or night time work as I could actually see better with them on under these circumstances." We tend to think that the only benefit of wearing sunglasses is to provide immediate comfort in bright conditions. However, many people are unaware that their ability to adapt to low night time light levels is very much slower after spending the day in bright conditions. In fact, being outdoors in the bright sun for as little as two or three hours can slow down the dark adaption process so much that normal night vision may not develop even after several hours in the dark. After being in the light, it takes about 30 minutes to dark adapt completely. The reason involves the restoration of two chemicals in the eye’s photoreceptors, iodopsin in the cones, and rhodopsin in the rods. Light bleaches these chemicals. When you go into the dark, the bleaching stops and the chemicals reach their maximum levels in about 30 minutes. Daytime use of sunglasses enhances dark adaptation. After removing sunglass lenses upon entering a structure from the bright daylight, you will find that you can see objects almost immediately. Instead of feeling blind for several minutes, you will be able to see detail in the shadows without waiting for your eyes to adjust.